Distributing food and affordable clothing to individuals and families in our communities. Come shop at the thrift store for fun, inexpensive, fashionable clothes! 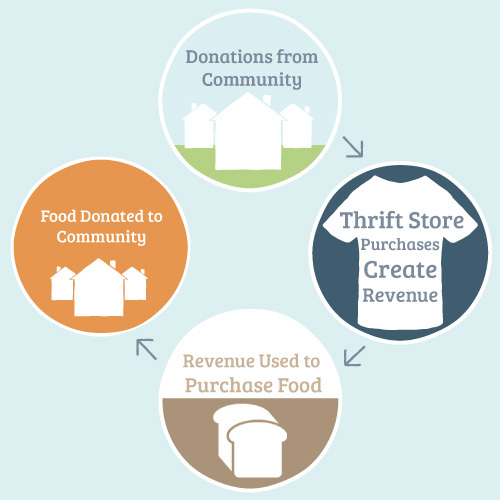 The mission of the Richmond Food Shelf and Thrift Store, Inc. located in the village of Richmond, Vermont is to improve the lives of individuals and families in the community who are experiencing financial hardship. Our primary activities will be to distribute food to those in need with no membership fee or proof of income and to sell affordable clothing. Donated in support of this organization's contributions to the community.